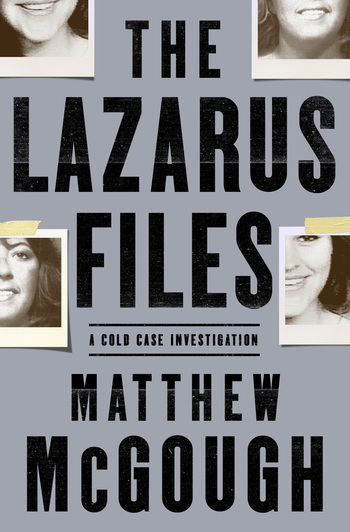 A deeply-reported, riveting account of a cold case murder in Los Angeles, unsolved until DNA evidence implicated a shocking suspect – a female detective within the LAPD’s own ranks. On February 24, 1986, 29-year-old newlywed Sherri Rasmussen was murdered in the home she shared with her husband, John. The crime scene suggested a ferocious struggle, and police initially assumed it was a burglary gone awry. Before her death, Sherri had confided to her parents that an ex-girlfriend of John’s, a Los Angeles police officer, had threatened her. The Rasmussens urged the LAPD to investigate the ex-girlfriend, but the original detectives only pursued burglary suspects, and the case went cold. DNA analysis did not exist when Sherri was murdered. Decades later, a swab from a bite mark on Sherri’s arm revealed her killer was in fact female, not male. A DNA match led to the arrest and conviction of veteran LAPD Detective Stephanie Lazarus, John’s onetime girlfriend. The Lazarus Files delivers the visceral experience of being inside a real-life murder mystery. McGough reconstructs the lives of Sherri, John and Stephanie; the love triangle that led to Sherri’s murder; and the homicide investigation that followed. Was Stephanie protected by her fellow officers? What did the LAPD know, and when did they know it? Are there other LAPD cold cases with a police connection that remain unsolved? Sherri Rasmussen, a twenty-nine-year-old hospital nurse, was just one of 831 people murdered in Los Angeles in 1986. Matthew McGough has written for The Atlantic, The New York Times, The Los Angeles Times, and more. His acclaimed memoir Bat Boy: Coming of Age with the New York Yankees was the basis of “Clubhouse,” a primetime TV series on CBS, and his story about his first day with the Yankees was selected to lead the pilot episode of The Moth Radio Hour. Formerly a legal consultant and writer for NBC’s Law & Order, he lives in LA with his wife and children.